The apostles had the assignment of making one church out of Jews and Gentiles, slaves and freemen, the rich and the poor, and ignorant peasants along with the educated elite. And we think we have problems. Paul indicated that these walls of hostility can be broken down by the grace of the Lord Jesus. Can we find better solutions than Spirit-and-truth worship as we put Jesus at the center of our worship? I don’t think so. Let’s examine the problem from a scriptural standpoint. First, God intends worship to be multi-generational. Second, though we are many, Jesus wants us to be one as we worship. This is not a natural phenomenon, but a supernatural gift. Third, the New Testament church is by nature multicultural. True worship stretches us beyond ourselves into the fullness of the kingdom of God. The transfer of faith from one generation to the next is a major theme of Scripture and a primary function of Lord’s Day public worship. A strategy of hell is to divide the generations; the strategy of heaven is to unite them. In the United States since the 1950s each generation of teens has felt obligated to rebel against their parents. Each rebellion has had its own music and now the music of each revolution can be tuned in across the radio dial as the Hits of the 50s and 60s, or the Music of Your Life, or Classic Rock and Roll. The church must be the one place in the world where there is peace among the generations. This is no easy ceasefire, but an actual inter-generational discourse on the glory of God. The great evangelical music scholar, Donald Hustad, in his important work, Jubilate! Music in the Evangelical Tradition, writes that a vital function of music and art in a society is this transfer of the values and beliefs that tribe from generation to generation. By this he means music that communicates the values and beliefs of a people from one generation to the next, the songs that express the shared identity of the people. This means that the music of public worship is the tribal music of the people of God. Americans turned to traditional songs when we were attacked on September 11, 2001: God Bless America, The Star-Spangled Banner, America, the Beautiful, God of Our Fathers, our tribal songs. This is trans-generational music. The feelings expressed in the music and the values contained in the words belong to all of us, not just the old or the young, the rich or the poor. The music of Sunday worship should fit into this category, affirming who we are, what we believe, and taking us into our common destiny. Note that Psalm 145 indicates that this is a two-way communication, a meaningful conversation among the generations. It is not enough for the young to sit down and listen to their elders. The elders must listen to their children and grandchildren; they have much to say. They love the same Jesus, read the same Word, and express the same emotions as their elders. Their music may sound different to us, but they are in our tribe. In fact, they are the future of our tribe. Without them we are headed for extinction. Instead of recoiling in horror because of the sound or sound level, or the beat, or the instrumentation, elders need to listen for the truth in the songs and rejoice that these precious things have been successfully transferred to their progeny. The new song is not a grievous thing, but a sign of success. Many people have marveled at the priestly prayer of Jesus in John 17. Can there be any doubt that unity in the church was His chief concern? Paul and the other leaders of the church shared this concern as they sought to make the fractured, factious followers of Jesus into a functioning whole. Musicians have a special understanding of unity with diversity. The musical term ensemble means together.5 There is a difference between 50 people singing at the same time and a 50-voice choir. Unity with diversity is vividly demonstrated in the instruments of the orchestra. Twenty-five instrumentalists all improvising at the same time on the same song will most likely be chaotic and noisome. But the same 25 orchestra players in an balanced instrumentation playing an excellent orchestra score can express anything from the intimate, to the mighty, to the joyful, to the plaintiff, to the music of peace or of war. Ensemble — togetherness — results in real communication. And so it is with the church in worship. In the unity of substance (worship, Word, altar) and the diversity of the cultures of the peoples of the earth, we can be one without the loss of our individuality. I quickly tire of the sound of the brass only, or woodwinds only, or strings only, or percussion only. But with all of them playing decently and in order, with ensemble, the orchestra is never a tiring sound; it is fresh, new, and appropriate. This is a picture of the Universal Church. Each family of nations has a sound of its own to add to the choir and orchestra of humanity in worship. I have heard the unbridled joy of the African song and the immediacy of the African-American song; the passion of the Eastern European song in Romania and the peace of Taize worship from France; the sweetness of the Filipino song and the joyful energy of the Latin-American song; and, in my own land, the truth of the great hymns of the English-speaking church, the testimony of the great gospel songs of our parents, and the tender intimacy of the songs of American youth. We can only imagine the variety of sounds and forms worship will contain in the millennial reign when every tribe and tongue and nation gathers before the Throne of God and of the Lamb. But today, instead of enjoying the diversity of God’s singers and players, do we put our personal cultural sounds on like a set of cultural headphones? If so, we are closing out the sounds around us and amplifying the sounds we are used to. They listened to the testimony of those who had seen the Gentiles saved and filled with the Spirit. The prophecy of Amos was seen as authoritative and, finally, “It seemed good to the Holy Spirit and to us not to burden you.” (Acts 15:28, NIV) was their testimony. This is still a good method for processing the surprises God brings our way. If we use a lesser, human-centered method, it is likely that a wall of hostility will grow between us and the change God wants to bring. Yet, the church fathers did it. With such an example to follow, why would we divide our congregations over something as trivial as musical style? If style has become a wall of hostility (“I won’t sing those songs.” or “I can’t worship with that music.”), Jesus still has the power to tear down the wall. If He can bring down the wall between Jews and Gentiles, He can certainly destroy the one between those who love old songs and those who prefer new ones. Sometimes instead bringing down the walls that separate people, leaders decorate them, strengthen them, and make them the whole point of the service: “Contemporary Worship 9 a.m./Traditional Worship 11 a.m.” Surely when placed next to vital considerations like unity in the body of Christ and the scriptural demand for a whole worshiping family, musical styles should not be allowed to be divisive. Why can’t differing styles be celebrated as diversity rather than segregated as divisive? Our pragmatic use of musical style as the centerpiece or the drawing card of our worship, rather than the timeless universals of Spirit and truth, is a result of our culture of choice. We Americans have described freedom of worship as the right to worship God as we please and our pleasure has become the ultimate judge of worship. If we do not like a church, we find one we do like, one that meets our needs. In response to this cultural influence, leaders build style-specific services to reach these consumers. If they do not, someone else will. All the while, the present members of the church who do not welcome the musical and presentational innovations protest — generally quite loudly — so a traditional service is designed for them. Thus, style-specific Sunday services are born in an effort to give people what they want. While this may be well-intentioned and it may actually work because people attend the services with the style they prefer, is this what the church fathers did? Were their actions shaped by their pagan cultures or did they raise up the church of Jesus Christ as a holy counterculture to change their world? That will do more to silence contention and heal alienation than any other means. Bring people around the same Cross; fill them with love for the same Redeemer, and give them the same hope of heaven, and you put a period to alienation and strife. The love of Christ is so absorbing and the dependence on His blood so entire that they will lay aside alienation and cease their contentions. The Early Church was forged in many furnaces of the ancient world: Jerusalem, Antioch, Ephesus, Corinth, Alexandria, Rome, and countless villages where the missionaries took the story and presence of Jesus. The Universal Church was diverse because it represented the nations of the world. There was also unity of belief and practice that soon consolidated itself into the canon of Scripture and the great confessional creeds, such as the Apostles Creed. From the local church to the Universal Church, Jesus broke down the walls of hostility between peoples, making enemies into brothers and warring camps into the dwelling place of God by His Spirit. When the church worships, we — in the words of the Psalmist–ascend the hill of the Lord and stand in the Holy Place (Psalm 24:3). It makes sense then that the church on earth should resemble the church in heaven: “every nation, tribe, people, and language.” (Revelation 7:9, NIV). Ideally, the population of a church should reflect the population of the neighborhood where the church stands. Gordon Fee makes an interesting and revolutionary observation in his book, Paul, the Spirit, and the People of God, about the essential nature of the church in Paul’s theology. “Homogeneous churches lie totally outside Paul’s frame of reference.” The congregations in the New Testament were multicultural because they existed in multicultural societies. When a church stands within a mono–cultural context, it will be mono-cultural except for the generational subcultures (a black church in a black community; a white church in a white community; an Hispanic church in a Latino community). Problems arise when churches are mono-cultural even though they stand in multicultural settings. This indicates that these churches are isolated from their communities, rather than a part of them. They are not reaching their surrounding neighborhoods for Jesus. Most likely this is because their mono-cultural worship does not engage the cultures surrounding the church. How does this happen? Closely related to the concept of using style-specific worship services to reach certain groups of people is the concept of keeping worship styles safely nestled within the comfort zones of a congregation. These churches usually exhibit little or no interest in reaching the lost of the different cultures around them. Comfort-zone worship is not true worship—worship in Spirit and truth. As a worship leader, I must not settle for popular, status-quo affirming, people-pleasing worship. That is grandstanding. My job is to prepare the sacrifice of praise our congregation will offer to the Lord as I am led by the Spirit. I want to lead prophetic worship that is pulsing with the power of God to change people’s lives, convict sinners of their need for Jesus, and bring us all before the Throne of God and of the Lamb. lead us into our future in Christ. Comfort zones cannot withstand this true worship, but lost people of every culture will be drawn to the Lord Jesus as He is lifted up in the power of the Holy Spirit. How Do We Lead Multi-generational, Multi-cultural Worship? The impact of the church on the world depends on our public presentations of the gospel. While our services are important, the real power to reach the world for Jesus is the power of the Holy Spirit in the hearts and lives of the people of God. Churches grow because lost people see and feel Jesus in the lives of God’s people all through the week, not because we are slick and professional in our presentations on the weekend. This choice of the power of the Spirit, rather than the excellence of our presentation, is not new to our generation. Paul made specific choices to rely on the Holy Spirit and not on his own personal giftedness: “When I came to you, brothers, I did not come with eloquence or superior wisdom as I proclaimed to you the testimony about God. For I resolved to know nothing while I was with you except Jesus Christ and him crucified.” (1 Corinthians 2:1,2, NIV) Paul “resolved” that the ministry did not depend on his considerable gifts, but on the power of the Spirit. The way to tap into the power of the Holy Spirit is to align ourselves with His purposes. A starting place would be to take the advice of Jesus to the Samaritan woman — worship the Father in Spirit and truth, not just culture and methodology. Next, reverse the trend of continually dividing the church into generational groups. Bring the family back together so we can talk to each other about the glory of God. We need to learn to merge the musical languages of the congregation into cohesive, integral sacrifices of praise and worship with Jesus at the center. Let’s focus on the Lord, not our music. We need to restore the biblical elements of congregational worship: the psalms, the public reading of Scripture, proclamations of praise, seasons of worship, corporate prayer, creedal confessions, anointing with oil, laying on of hands, altar services, singing in/by the Spirit, and especially Communion. These things are all about Jesus. They are a means of grace, and they are trans-generational and trans-cultural. 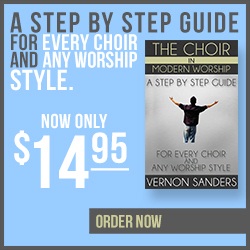 Finally, we must elevate our view of worship to the higher view of ministry to the Lord. Blended worship and style-specific worship tend to be horizontal, focused on the desires of the people. That is not what public worship is for. When the church gathers as the people did in Acts 13, to minister to the Lord, we, like they, will hear from heaven. We can be one—a whole and healthy worshiping family. We can be one—celebrating the diversity of cultures with the unity of spirit and truth. We can be a universal one—an earthly reflection of heaven itself. I read this with rapt attention and attempted to squeeze the true meaning of what you were trying to convey into my mind and spirit. I discovered that it speaks volumes to challenges that most churches I know are facing…not tomorrow but today. Until that issue is resolved, unity will still be a dream not a reality. Thank you my friend for your profound words.